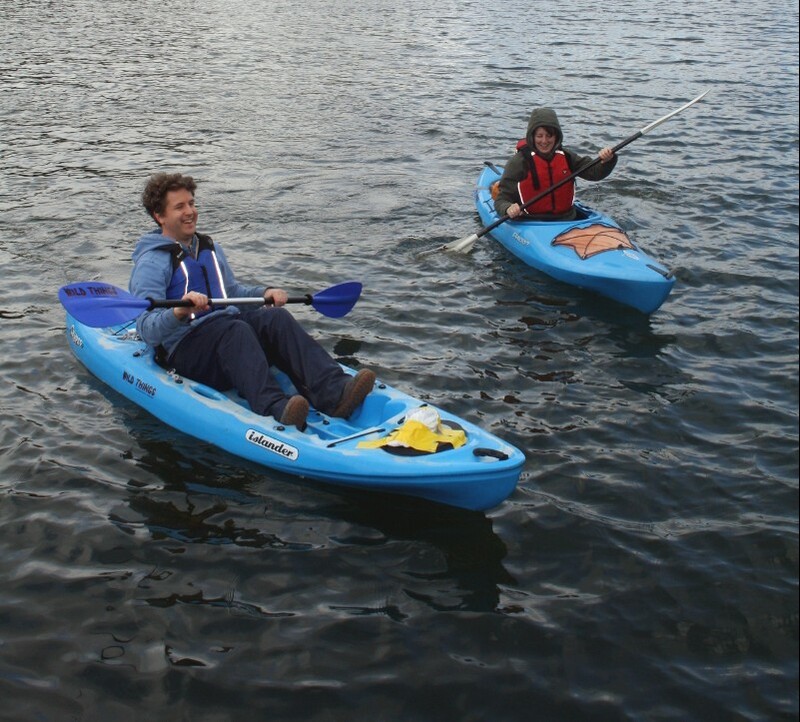 We’re excited to be working with FoAM Kernow, Dave Griffiths, Amber Griffiths and marine biologist Dr. Kirsty Kemp on a new collaborative Sonic Kayak project. We invite you to join us to collaboratively prototype the Sonic Kayak. Bring an explorative mind and experience in any field, and come to tinker with electronics, coding, sound art, boats and climate science. Kayaks will be rigged with a bolt-on unit consisting of under-water environmental sensors (we’ll start with temperature) and above-water speakers. The sensor data generated as the kayak is paddled will trigger sonifications, generating music to provide the paddler with an extra dimension of senses with which to explore the underwater climate. The sonification will be developed with award winning sound artist and composer, Kaffe Matthews. The project will be developed in collaboration with climate science researchers, offering for the first time a citizen-science approach to collecting valuable aquatic microclimate data. This builds on work by the Bicrophonic Research Institute. This project is funded by FEAST (Cornwall Council and Arts Council England) and the British Science Association. Lunch: Bring-your-own. Tea and coffee on tap. 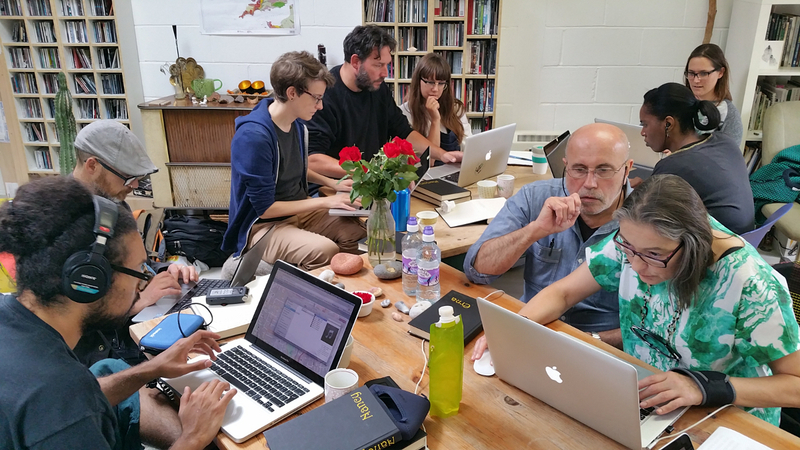 2nd weekend workshop in Pd, hosted by the BRI, taught by Andy Farnell. 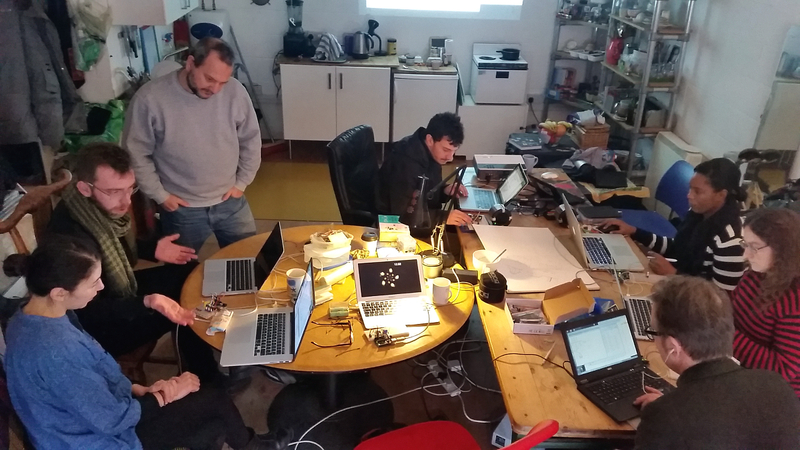 Our second workshop weekend will focus on applying Pd to enable the making of meaningful sound and music from live data streams gathered from a variety of sensors and Arduinos. This workshop is designed as a follow on from our part ONE in Jan which started from scratch, covering ‘What is Pd and how does it work? and ‘Pd on a raspberry Pi2’. Everyone welcome, you don’t need to have attended workshop ONE, but it’s assumed that participants will have some Pd capability and familiarity with Arduino IO. Just contact us at info@sonicbikes.net if you have any queries. Booking essential. A spare USB stick for sharing patches. If you have one, do bring a raspberry Pi2, Arduino and bread board, connectors, sensors etc. The BRI do have some equipment that can be borrowed. Just ask when booking. The BRI are hosting this series of workshops with a view to working with live data input from sonic bike riding during ongoing research. We welcome your input. Location: BRI London Lab, AudRey, 17B, Ellingfort Rd, London E8 3PA. UK. 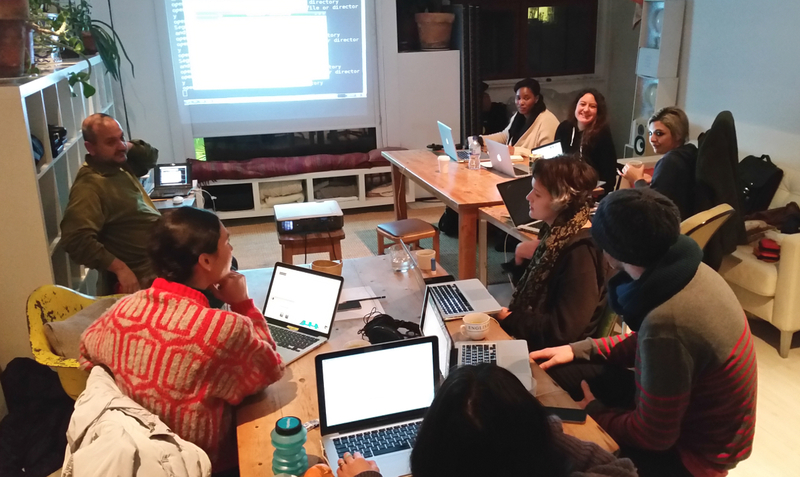 Kick off the New Year inspired with a dazzling and practical introduction to Pure Data (Pd) as a synthesis and sound environment. Saturday: What is Pd and how does it work? An Introduction to Pd as a synthesis and sound environment. An introduction to control and integration aspects of Pd. via Arduino and micro-controller interfaces in March. A laptop with Pd already installed and tested. Development of concept and practical realisation for interactive Sonic Bike games in Brussels, with Kaffe Matthews and Tom Keene. Open to anyone. Technical skills not required. Permanent presence and inscriprion preferred but not imperative. Q-02 in collaboration with Bicrophonic Research Institute, Cyclo, FoAM, Globearoma, Rits/School of Arts, Huis van Culturen en Sociale Samenhang van Sint-Jans-Molenbeek, Vaartkapoen, VisitBrussels, Overtoon. An introduction to the sonic bikes, software, hardware and compositional processes for 9 new bicrphonic artists in The Summer Pedalling Games, led by Kaffe Matthews. 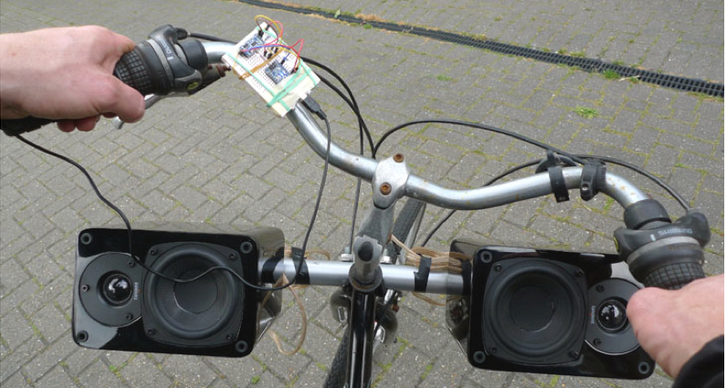 • In the morning Kaffe will give an introduction to the sonic bikes, software, hardware and compositional processes used in order to create a new sonic bike work. • Each artists will introduce themselves and give a brief presentation of their ideas. • In the afternoon we will start testing sounds on the bikes. • Day two, we will continue testing sounds on bikes – learning about the software and compositional process. At the end of the workshop artists have the opportunity to take a sonic bike away with them, so as to continue developing their own sound work independently,, ready for The Summer Pedalling Games in September. For: The Summer Pedalling Games artists.